WASHINGTON, Mar 11 2014 (IPS) - Even as U.S. and Moroccan executives meet to discuss strengthening private sector ties between the two countries, advocacy groups are raising concerns about plans by a U.S. energy firm to explore for oil in the contested territory known as Western Sahara. Government and business leaders from the United States and Morocco are gathering in Rabat this week for the second annual Morocco-U.S. Business Development Conference. The Moroccan government hopes to capitalise on its 2006 free trade agreement with the United States and encourage U.S. investment in the country by presenting it as a gateway to European, Middle Eastern and African markets. “There’s a lot going on in Morocco, and the question is how can it leverage what it has to attract American investments to Morocco that can then be directed to a European market or south to the African markets,” Jean AbiNader, the executive director of the Moroccan American Trade and Investment Centre, a non-profit established by Morocco’s King Mohammed VI, told IPS. Morocco has placed a high emphasis on oil and gas exploration in its energy policy. At this week’s conference, participating energy companies, such as Dow Chemical, were given the option to attend sessions on Morocco’s energy sector, highlighting the potential for both renewable and carbon-based investment in the kingdom. While international investors in renewable energy have long favoured Morocco, enabling the construction of solar plants and wind farms, U.S. and European corporations are also rushing to take advantage of concessions for possible oil reserves, some of which are potentially located in the Western Sahara, which many people view as under Moroccan occupation. One such firm is the Texas-based Kosmos Energy, which has already begun offshore hydrocarbon exploration in three blocks of Morocco’s AgadirBasin. More controversially, Kosmos now intends to start oil exploration in an area off the Western Saharan coast, known as Cap Boujdour, in October. After calling for Western Saharan independence from Spain, Morocco took control of the territory, which it calls the Southern Provinces, in 1976 after the Spanish withdrew. 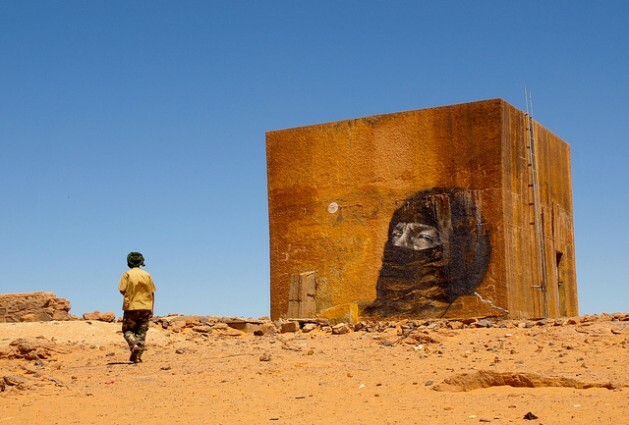 Following years of armed conflict between Morocco and the Algerian-backed Polisario Front, the international community established the United Nations Mission for the Referendum in Western Sahara (MINURSO) in 1991. MINURSO intended the referendum to determine whether the Western Sahara would become an independent state or part of Morocco, but the vote was never able to be implemented due to disagreements over who was eligible to take part. Unlike Morocco, the Polisario Front did not want to allow Moroccan settlers in the Western Sahara to participate in the referendum. To date, no other state recognises Moroccan sovereignty over the Western Sahara, which is on the United Nations list of Non Self-Governing Territories. In 2002, Morocco awarded contracts for oil exploration in the Western Sahara to a U.S.-based company, Kerr McGee, and the French-based Total S.A. In response, the United Nations issued what is known as the Corell Opinion regarding the legality of resource extraction in Western Sahara. Since then, however, both multinational energy firms and Western Saharan advocacy groups have construed the U.N. opinion to favour their respective stances. AbiNader, with the Moroccan American Trade and Investment Centre, believes that Morocco’s resource-extraction activities are creating net economic benefits for the local Sahrawi population, as stipulated in the Corell Opinion. Also citing the Corell Opinion, Kosmos Energy maintains that because Morocco purports to equitably and fairly distribute resources extracted from the Western Sahara with the native Sahrawi population, oil exploration and potential extraction in the territory will meet the international community’s standards for legality. In a position statement, Kosmos highlights a 2013 report from King Mohammed VI’s Economic, Social, and Environmental Council (SCEC). The report declares that “the aim of the Council is to contribute to the collective effort required to rise to the challenge of achieving social cohesion, prosperity and equitable benefit from the resources” of Western Sahara. However, WSRW’s Hagen said he doubts the intentions of the Moroccan government to adequately share the wealth with Sahrawis. Instead, he argues that the Sahrawis do not want the Moroccan government and multinational corporations exploiting their resources – which, he says, renders Kosmos’ activities illegal under the Corell Opinion. Hagen also points to routine human rights abuses in both the Western Sahara and Morocco proper. WSRW is not only calling on Kosmos to abandon its plans to explore in Western Sahara, but is also urging a U.S.-based drilling firm, Atwood Oceanics, not to provide Kosmos with the rig it has ordered for use in Cap Boujdour. Neither Kosmos nor Atwood responded to IPS’s inquiries by deadline. so called Sahrawi are not indigenous to West Sahara..The Bereber are . If the Arab Sahrawi went their independent country the should leave to where they came from Saudi Arabia.